Our authentic Mexican molcajete is crafted of natural volcanic stone, giving it the traditional properties prized for grinding herbs and spices and blending sauces and pastes. 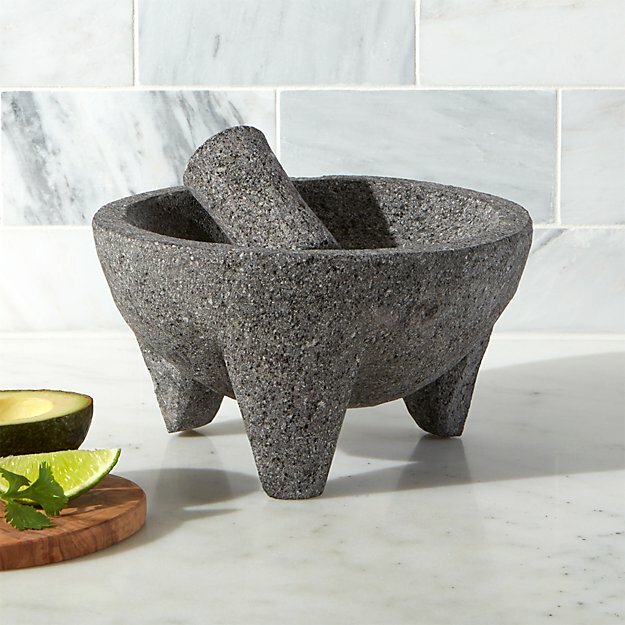 A must-have for moles, salsa and fresh guacamole, the Mexican mortar and pestle includes instructions for seasoning the stone prior to use. Hosting a Cinco de Mayo party We^^ve got some great ideas for you.